See you in Boynton Beach!!! SPRINGSTEEN LITERARY TAILGATE WEDS. MARCH 16! I’LL BE READING A BRAND NEW BRUCE-INSPIRED ESSAY. BE THERE! TALKING CASCADE FALLS AT ST. LOUIS JEWISH BOOK FESTIVAL, THURSDAY NOVEMBER 5, 10:30 AM. DETAILS BELOW. HOPE TO SEE YOU THERE! LOOKING FORWARD TO THE BEAVER COUNTY BOOK FEST! AUTHOR TALK FRIDAY 9/11, FESTIVAL SATURDAY, 9/12. HERE’S THE SCOOP! 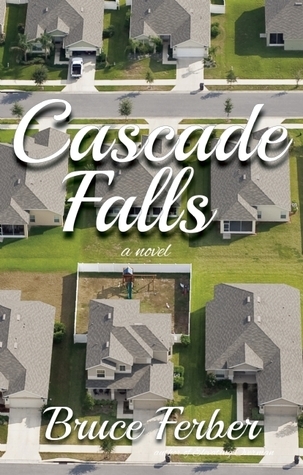 GOODREADS CASCADE FALLS GIVEAWAY! ENDS IN 5 DAYS! ENTER NOW! Giveaway ends July 07, 2015. FOLLOW THE BIG HEAD AS I TALK TO A DISEMBODIED VOICE IN ST. PETERSBURG, FLORIDA. Jordan Rich is one of the best radio interviewers in the business — I say this because he actually reads the authors he chooses, and is extremely well spoken to boot. Not always the case. Listen to the interview here.